On my last visit to Berlin, a new bag caught my attention. The X-Over bag*, which is best described as a blend of a functional rucksack and a stylish handbag, is the latest fashion accessory made in Germany. As a passionate bag hoarder myself, I had to research the brand and find out more about these clever hybrids. Rucksacks made their big fashion revival last year and 2015 won't be an exception. I've never been a massive fan of rucksacks, to be honest with you, but the X-Over bag has changed my view. Designed and made by a small South Germany-based company, the X-Over bag provides a stylish update of the rucksack in combination with a comfortable wearing system that adapts to your needs. The idea for the triangular shaped bag was born in 1996 and soon became a must-have in the In lineSkating scene. Now, after several updates, this is a bag designed for everyday use, which is functional, practical yet stylish and fashionable. Each bag comes in different sizes. 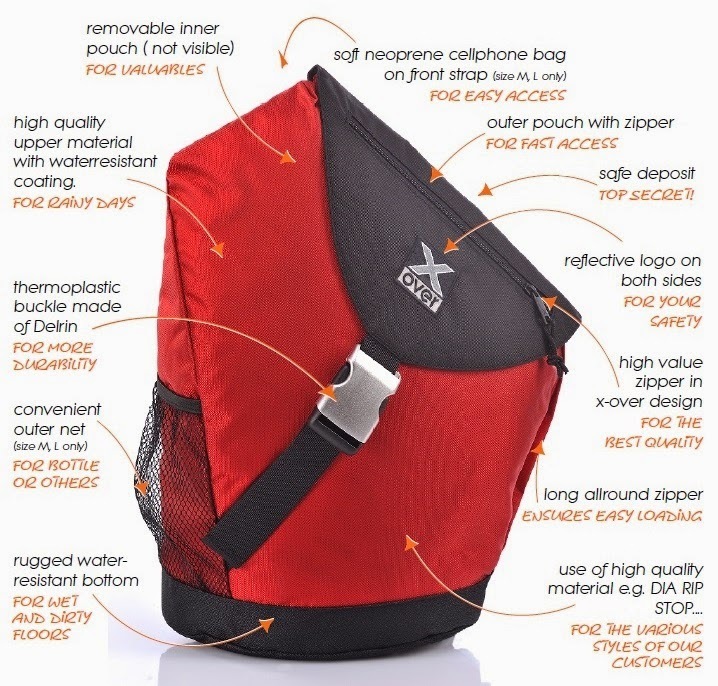 Medium, for example, is designed for people 'on the move' so you can use it outdoors for hiking, cycling or trips but at the same time it is a great shopping companion or to take into work. Key features of the X-Over bag are the diagonal opening and a complex, yet simple wearing system, which allows carrying your bag the way you want to. It adapts easily to your needs. The casual, easy and functional options provide comfort and stability and a perfect weight distribution. One thing that I really don't like about rucksacks is loose ends which usually hang around in your way. This can't happen with this bag because every part of the system is used efficiently and effectively so there aren't any straps left over. In the case of wear and tear, X-Over offers additional replacement parts to buy via their website. The product line features ten different collections which are individually named after trendy locations. Amsterdam, for example, has a young design, whereas Hawaii features flower prints and the model Frankfurt has a classy cut. There's also a category with en vogue and stylish prints for fashionistas. The brand currently works on building a network and presence so at the moment there's only their website but social media will follow soon. Prices start from £35 for an S size bag and £55 for an M size bag. The X-Over is available via their online shop or the German Amazon. Thank you so much for reading today's post and I hope you'll be joining me on my next adventure. 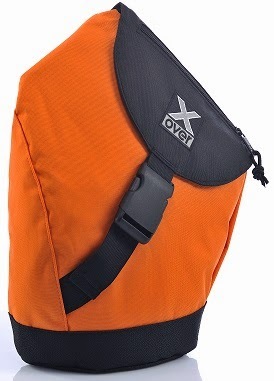 What do you think of the X-Over bag? Would you get one and how would you style it?